Your Goal is Our Goal! If this is your first or your tenth baby we want you to be successful. Every baby is different and we are here to ensure you get the help you need whenever you need it. Not sure what you need? No worries, we can help with that too! Our Education page has great resources for you to start with and you can schedule a prenatal consult with our lactation consultant to develop a plan as well! 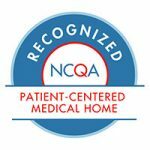 Our Providers and Consultants are here to assist you with any help, concerns or even just “am I doing this right” questions. We have been providing care to babies and assisting with breastfeeding for more than 5 decades! We know how challenging it can be and we are here to make you successful no matter what your goals are–short term or short term. 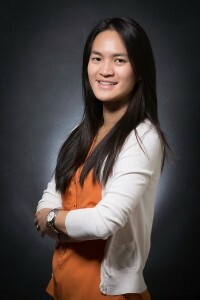 Yee Von joined Children First in January 2016. She is excited to meet our patients and provide them with breastfeeding support and assistance. Prior to becoming a Registered Dietitian in 2013, Yee Von had spent three years at the Women, Infant and Children Program in Buffalo, NY as a Nutritionist and IBCLC. She then went back to school to complete her dietetic internship and Master’s degree in Nutrition at the State University of New York, University at Buffalo (UB). When in UB, she worked with college students to overcome difficulties of living a healthy on-campus lifestyle. In addition, she is passionate and experienced in prenatal-, postpartum-, and breastfeeding-nutrition. Yee Von has a certification in adult weight management training and has extensive experience working with individuals and groups in personalizing weight loss strategies. She is married and has a toddler daughter. In her free time she enjoys exploring the area with her husband, practice yoga, cooking, and reading. We offer these supplies and rentals in our office for your convenience but these supplies and any home visits are NOT billed to insurance. **If you call your insurance they may tell you that Lactation Services are not covered but we bill under Children First Pediatrics if you are a patient of Children First and see one of our lactation consultants in the office so deductibles/copays may apply but it is usually covered!